As pentester we use a lot of tools during penetration tests. 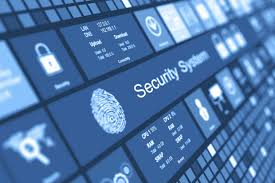 One of the main parts of the penetration test is man in the middle and network sniffing attacks. 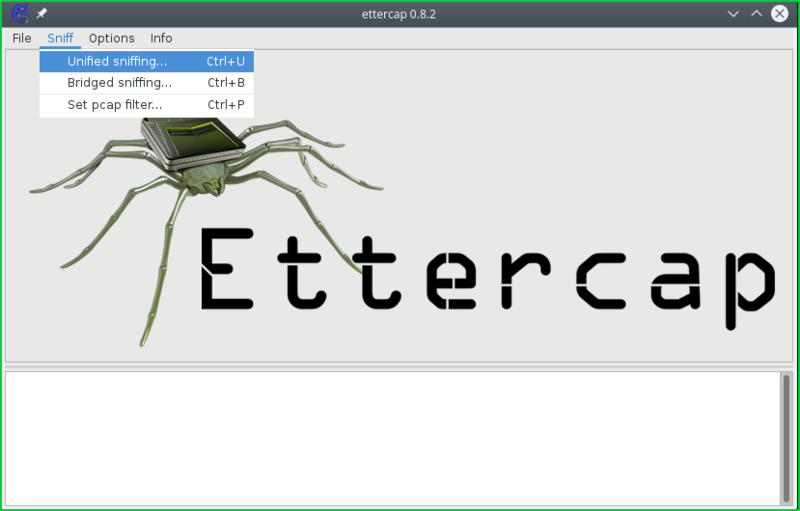 We generally use popular tool named ettercap to accomplish these attacks. 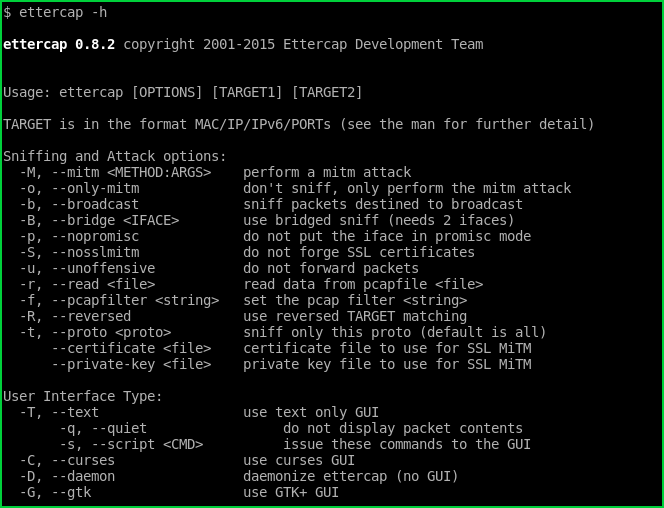 In this tutorial we will look installation and different attack scenarios about ettercap . We will look different installation types. If we want to install GUI too run following command. 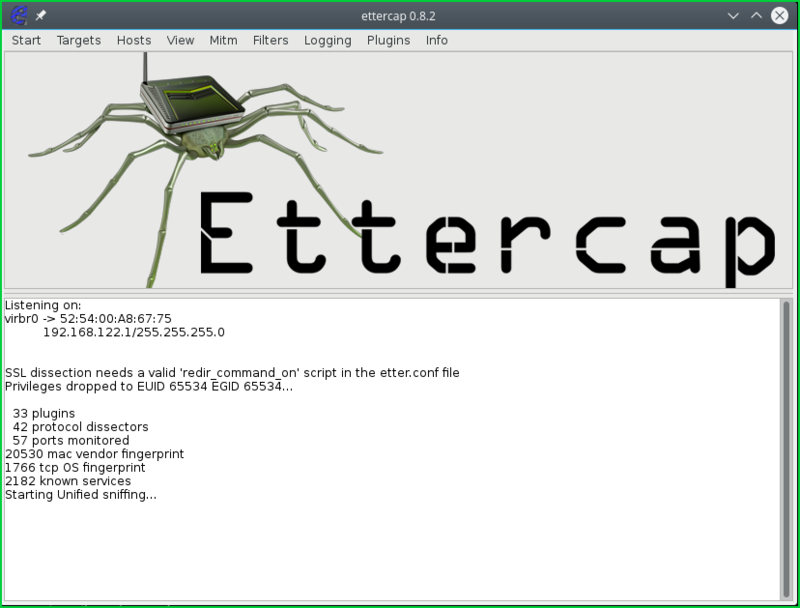 Compiled ettercap Windows binaries can be downloaded from following link. Detailed help about ettercap can be listed with the -hoption like below. Ettercap provides different type of user interface. GUI is the easiest one but we will use text only interface in this tutorial. Like a black linux terminal. Curses is better interface than text only where it have menus. Daemon mode will work background without stopping. Before specifying interface we should list available interfaces. We can list interfaces with -I option . We will use curses interface which can be selected with -C option. We can start GUI with the following command. 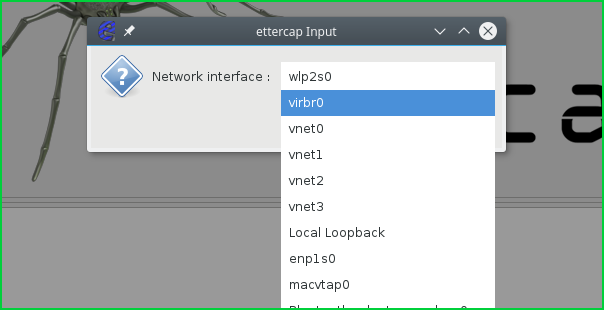 Because ettercap will sniff and change os settings we need to provide root privileges while starting ettercap. Current screenshot we can see that ettercap is sniffing. We can list live hosts from the menuHost. We can see that IP address and MAC address information about the hosts are provided in the following screenshot. We will add hosts to the target with Add to Target 1 and Add to Target 2 buttons. From host list menu. We will select fromARP PoisoningMitm the menu like below. We should enable ifSniff remote connections we want to sniff all connections including remote ones.